Grow your audience with market research surveys. Make smart business decisions with powerful results from market research surveys. To stay competitive, businesses large and small need to know what consumers want, what they like and why they behave the way they do. Trusting your gut won’t cut it. You need to go straight to the source – your customer. That’s where we come in. SoGoSurvey’s simple yet sophisticated design, distribution, analytics, and reports make market research surveys painless. Using market segmentation, target select groups to test new product ideas, marketing initiatives, or brand perception. Armed with actionable intelligence, you can move forward, confident that your new product will fly off the shelves, your website will convert more business, your design will captivate your customer – and you’ll bury the competition.  "I found SoGoSurvey to be superior to other survey tools for my market research, even online surveys I had used in the past." Build the bond between your customer and brand using your logo and colors, custom URLs and domains, or white-label surveys for a seamless brand experience. Make responding easy. Our surveys are mobile-ready and attractive on any device. The data you collect is invaluable, and we’re supremely affordable. Talk about a win-win. And at a fraction of the cost of outsourcing research. Ready. Aim. Research. Drag-and-drop loads of question types. Easy to launch, simple to manage. Get answers that matter in no time. Quickly make sense of your results so you can map the landscape and decide whether to forge ahead, change tack, or abandon ship. Survey experts on call. 24/7/365. Like the song says, Ain’t no mountain high enough to keep us from you. Our support team is always standing by, ready to help. They say don’t judge a book by its cover. Actually, in this case, do. Embed images, video, audio and graphics to best position a product for success. Design appealing surveys that consumers want to take. Respect their time using pre-population and skip logic to get precise responses and build brand loyalty. Depending on the response, you can redirect survey takers to your homepage, a landing page, a registration form where they end up is up to you. Meet customers on their turf – be it via email, SMS, website, social media or mobile – and get more responses. Use multiple methods and bring all data together. Reveal what resonates with customers through A/B tests. Pit two options against each other to make changes and choices based on performance, not guesswork. Paper still has its place. Build your survey online, export to print and distribute it. We can import your results to your account for tracking, analysis and reporting. Using our flexible, intuitive design and all the features you need, it’s never been easier to connect with your customers, followers and fans. SoGoSurvey’s sample survey panels let you collect real feedback from real people – your perfect target audience. Done right, market research goes beyond gathering data. It builds relationships. We give you the tools to create personal and relevant surveys that attract more authentic responses and more actionable data. Speak directly to customers by pre-populating what you know about them, and personalizing your follow up. Using advanced branching, shape a participant’s path through your survey based on how they answer specific questions. Keep them engaged with graphics and media. If you’re not seeing the results you want, find out exactly where survey abandonment occurs, and tweak for better performance. Asking questions is easy. Putting answers in context is where the rubber meets the road. We steer you in the right direction with 14 powerful out-of-the-box reports and endless ways to make them your own. See real-time results with a couple of clicks, and quickly isolate and compare data using your specific demographic criteria. Present beautiful reports full of actionable intelligence to help set strategic priorities and position your business for growth.